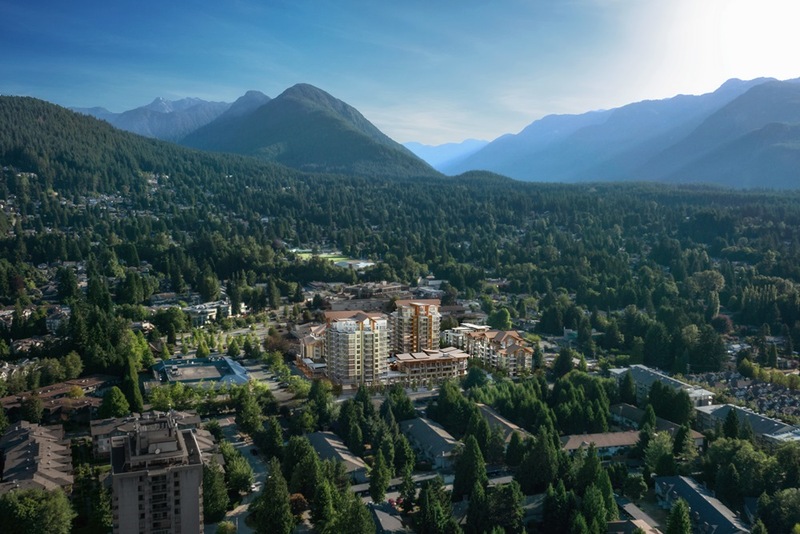 The Residences at Lynn Valley by Bosa Developments. Now preselling in North Vancouver. Presales of brand new condos in Vancouver have never been stronger, even as recent figures show a slump in real estate sales in the wake of B.C.’s new 15 per cent tax on foreign buyers. At the end of the second quarter there were just 42 presale units for sale in downtown Vancouver, none of which were listed for less than $1 million, according to Fifth Avenue Real Estate Marketing’s second quarter report. However, such figures are rarely represented in statistics describing the Vancouver real estate market. Metro Vancouver real estate sales are usually measured by the sale of new and old detached homes plus resales of older condos, apartments and townhouses as listed in the realty industry’s multi-listing service (MLS). But, according to developers and the Canada Mortgage and Housing Corp., MLS doesn’t capture the sales of new condos, usually sold as presales before construction is complete or post-construction by the developer through its own on-site sales centre. And those sales broke records in the first half of this year, according to Fifth Avenue, which analyzed every project under presale. “This is all the stuff that hasn’t been owned before,” said Fifth Avenue developer Scott Brown. “Years ago, 50 or 60 per cent of the units would be sold at the opening of presales and the developer would sell the rest of the units over the months and after completion. “Now, more and more people are buying prior to completion. Almost 13,000 units were presold across Metro Vancouver in the first half of this year alone, surpassing the total for each of the years between 2010 and 2014, Brown said. From West Vancouver to Aldergrove, the number of presales for the first six months of the year in various multifamily buildings under construction or planning was 53 per cent higher than the same period in 2015. Brown said presales are on track for more than 18,000 units this year and could even hit 20,000 for the first time. He said if there’s a downturn in the market for presales in coming years, it will likely be due to a lack of project launches than the effect of the foreigner tax. In its report, Fifth Avenue listed several projects across Metro Vancouver, noting three sold out in downtown Vancouver in the second quarter, including Addition, at Hornby and Helmcken, The Jervis at Jervis and Davie, and Concord Pacific’s The ARC Sky Collection. An “overwhelming number of these sales are not recorded in MLS data” and don’t make it into MLS sales activity figures, said Fifth Avenue. Robyn Adamache, a senior analyst at CMHC, said the federal housing agency does not record presales, and only records purchases as sales once the building is complete and ready to move into. She said in July there were only 296 recently completed units for sale across Metro Vancouver, compared with the five-year average of 1,617 available units, confirming Fifth Avenue data. “There’s a very strong demand” for just-built condos, she said. At the end of July, 99 per cent of completed condo units had been sold — compared with a 76-per-cent average over the previous five years — while 89 per cent of brand new townhouses had been sold, compared with the five-year average of 67 per cent, Adamache said. At the same time, according to Fifth Avenue Real Estate Marketing’s second quarter report, there were no brand new units available in completed buildings in downtown Vancouver — from the West End to Chinatown — except for the penthouse at the Private Residences at the Hotel Georgia, coming in at $18 million. The sales activity is driving up the per-square-foot price at the high end for downtown Vancouver properties to an “unheard-of” $1,700 per square foot, according to Urban Development Institute president Anne McMullin. That translates to $1.2 million for a 700-square-foot suite. McMullin said the new 24-storey Cardero high rise in Coal Harbour, at Cardero and Georgia streets, sold out in two weeks in July at that price per square foot, well above the average of $1,500-$1,600. She said MLS shows the market has “softened” since May, before news of the foreigner tax, but added that presales aren’t included in those numbers because they don’t fit the criteria of a sale. “We tried to put the numbers together but because they’re presales and they haven’t closed, it’s apples and oranges,” she said. The UDI is waiting to see post-tax sales figures to see what effect, if any, the tax will have. “The softening had started already so it will be hard to say if (a further drop) is because of the tax,” McMullin said. Brown said the quick presales and low remaining inventory shows considerable demand for new multi-family homes is still present. He estimated that only one per cent of buyers of presales are foreign investors, and said he’s optimistic the “hangover” from the shock of the foreigner tax will start to lighten by the middle of this month.